In the past 50 years I have been most fortunate to not only meet but study with many of the great Budo Masters who have visited the UK and Europe. I would like to place my memories on record in the hope that they may one day be of interest to others in the Martial Arts. British Aikido Council ( BAC ). Williams Sensei was there with Abbe Sensie at the very beginning of this exciting period in British Martial Arts history. The new association with Otani Sensie would make Abbe Sensei a regular visitor to the Hut Dojo. Which would soon be renamed The Abbe School of Budo. I first saw Abbe Sensei when he attended a grading at the Hut. I realised even on this first occasion that I was in the presence of someone very special. Abbe Sensei appeared to me to be an awesome man . I would later get to know sensei much better and engage in some conversation although his English was very poor. Many people today claim to have been friends of Abbe Sensei, I never met one person who was a friend of Sensei, we were all privileged students. I would soon start Aikido and would see Sensei on both the Aikido and Judo classes. I also became a regular at Abbe Sensei’s own Sandwich Street Dojo in Kings Cross, London. At this time Abbe Sensei was in his early 40’s and still a force to be dealt with in randori or competition. I was not at the LJS when the following happened, Sensei thought that he did not receive the respect due to a man of his lineage and stature, he lined up all the 31 Judo dan grades and walked along the line and told them individually what technique he would use on them and whether it would be right or left handed, he did exactly that, he went down the whole line and beat each and every dan grade. Keinosuke Enoeda was born in Kyushu, an island in the South of Japan, on July 4th 1935. A strong and natural athlete, he initially took up baseball, kendo, and judo, as did many of his contemporaries - these being the popular sports in Japan at that time. He proved particularly adept at Judo, and by the age of 16 he had reached 2nd Dan. However, as is often the way, fate guided him to a demonstration by two top Karate exponents from the famous Takashoku University. The two Karateka, Senseis Irea and Okazaki, so impressed him, that there and then, he decided to channel his energy into Karate. He enrolled at Takashoku University, joined the Karate section, and within two years was the proud holder of Shodan. Another two years found him Club Captain. One his teachers was the great Master and founder of modern Shotokan Karate, Funakoshi Gichin, whose instruction and advice is still a source of inspiration to him to this day. He graduated with a degree in economics before joining the JKA instructors class which he attended for three years, during which time his main instructor was Sensei Nakayama. He also trained with many of the top Sensei of other schools and styles of Karate. It was this quality of instruction, combined with a fiercesome determination, which moulded Sensei Enoeda into one of Japan's finest ever competitors and instructors. 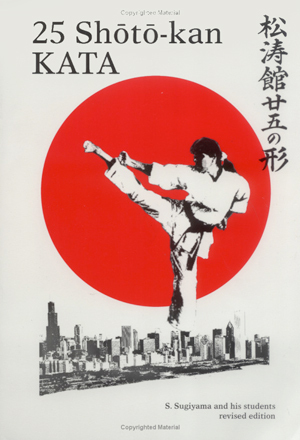 After achieving his aim of becoming JKA Champion, Sensei began to receive invitations to instruct in various countries - Indonesia, South Africa, Hawaii - and eventually joined his friend, Hirokazu Kanazawa, to instruct in England. Sri Krishna Pattabhi Jois was born on the full moon day of July, 1915, Guru Purnima day. His ancestral village, Kowshika, near Hassan in Karnataka State, is inhabited by maybe 500 people and has one main street. At one end of the street is a Vishnu temple, just next to Pattabhi Jois’ home. At the far end of the street, just 100 yards away, lies a small Ganapati temple, and just opposite, a Siva temple. Both are several hundreds years old, and are the focus of the village. Pattabhi Jois’s father was an astrologer and a priest, who acted as the pujari for many of the families in the village. From an early age, as most brahmin boys, Pattabhi Jois was taught the Vedas and Hindu rituals. When Guruji was 12 years old, he attended a yoga demonstration at his middle school in Hassan. The next day he went to meet the great yogi who had given the demonstration, a man by the name of Sri T. Krishnamacharya, who had learned yoga for nearly eight years from his Guru, Rama Mohan Brahmachari in a cave in Tibet. For the next two years, Guruji learned from his Guru every day. When Guruji turned 14, he had his brahmin thread ceremony. Krishnamacharya left Hassan to travel and teach, and Guruji left his village to go to Mysore. Kimura was a Japanese judoka (Judo practitioner) who is widely considered one of the greatest judoka of all time. Kimura (5ft 7in 170cm; 85 kg, 187lb) was born on September 10, 1917 in Kumamoto, Japan. Helio Gracie was regarded as the creator of Gracie Jiu-Jitsu, also known as Brazilian Jiu-Jitsu (BJJ). Until his death, Gracie was the only living 10th degree master of the discipline and is widely considered as one of the first sports heroes in Brazilian history; he was named Black Belt Magazine’s Man of the Year in 1997. He was the father of the world-renowned fighters Rickson Gracie, Royler Gracie, Royce Gracie, Relson Gracie and Ultimate Fighting Championship (UFC) founder Rorion Gracie. Gracie was also a 6th dan in judo. When he was just 16 years old, he found the opportunity to teach a Judo class(at that time Judo was commonly referred to as Kano Jiu-Jitsu or simply Jiu-Jitsu in Brazil). This experience led him to develop Brazilian/Gracie Jiu-Jitsu. A director of the Bank of Brazil, Mario Brandt arrived for a private class at the original Gracie Academy in Rio de Janeiro as scheduled. The instructor, Carlos Gracie (Helio’s older brother), was running late and was not present. Helio offered to begin the class with the man. When the tardy Carlos arrived offering his apologies, the student assured him it was no problem, and actually requested that he be allowed to continue learning with Helio Gracie instead. Carlos agreed to this and Helio Gracie became an instructor. Helio realised that even though he knew the techniques, theoretically in fact, the moves were much harder to execute. Due to his smaller size, he realised many of the judo moves required brute strength which did not suit his small stature. Consequently, he began adapting Judo for his particular physical attributes, and through trial and error learned to maximise leverage, thus minimising the force that needed to be exerted to execute a move. From these experiments, Gracie Jiu-Jitsu, formally Brazilian Jiu-Jitsu, was created. Using these new techniques, smaller and weaker practitioners gained the capability to defend themselves and even defeat much larger opponents.